According to the 2017 statistics, breast cancer represented the most common type of cancer in Canadian women. As many as 26,300 new cases were expected that year which represented almost 25% of all cancer cases. Five thousand cases of breast cancer were expected to die in 2017. The main lines of treatment for breast cancer are surgery, chemotherapy, radiation therapy, hormonal treatment and biologic therapy. Most patients receive at least a combination of more than two lines of treatment. The treatment options depend on many factors such as the tumour size, grade, age and menstrual state of the patient, hormone receptors state, whether the lymph nodes are involved by disease or not, and the stage of the disease( how far it has gone away from its site of origin). Naturopathic medicine can help many patients with breast cancer during various stages of treatment and all stages at presentation. 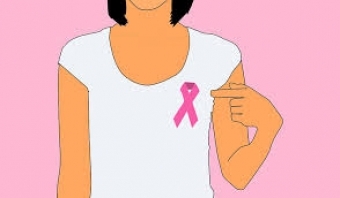 The aim of naturopathic treatment is mainly to support the immune system of patients with breast cancer, help to increase the efficacy of other treatments (such as chemotherapy, radiation, and hormonal treatment), and also reduce the toxicity of chemotherapy and radiation, helping patients to tolerate the side effects of these treatments. The best person to advise you when and how to use the naturopathic medicine tools with the breast cancer patient is a certified naturopathic doctor who has an experience and enough knowledge to advise giving you the best treatment that support your immune system, fight cancer, and at the same time not interfering with your chemotherapy, radiation, or hormonal treatment.